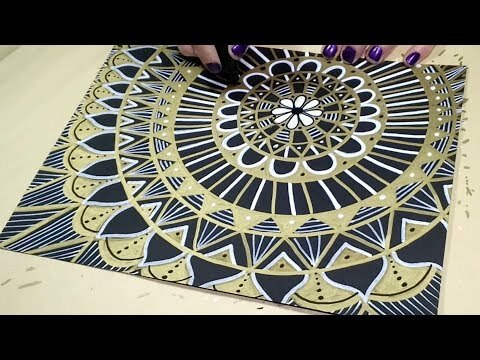 Drawing a gold and white mandala doodle on black paper/card stock. Fun and easy step by step doodle for beginners. ©BeCre8ive2, All Rights Reserved. Videos produced by #BeCre8ive2 are intended for your personal use only.